We are a specialized company that provides businesses and the public sector effective security solutions. By own product development and import, we can offer both standard as custom solutions. Our product range covers all the parts of the video surveillance system software tailored to high-quality devices. In addition to software development, our strength is demanding control project design and implementation. We supply security systems throughout the world. 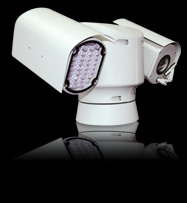 Our NVR network storage peripherals such as cameras resistant dome cameras and intelligent object detection systems. / IP and wireless cable. When you need a high-quality application control at the border, the city, shopping centers, transport terminals, ports, or even in the office, save time, effort and money and ask us directly!